Paul Langford, ’88, came from Hong Kong to Oklahoma looking for a good music program, but he never imagined how much the decision would shape his life. Sometimes the most extraordinary journeys have unexpected beginnings. Chicago-based singer, arranger, keyboardist, producer and conductor Paul Langford has created music that has been seen and heard across the globe. His high-level of excellence has led to a spectacular 25-year career and an extraordinary journey. Whether it’s performing for presidents, working with celebrities or spending time with his family, Langford carries with him the lessons he learned on Bison Hill. Born and raised in Hong Kong, he used the summer before his senior year of high school to visit and explore American universities. Of all the places he visited, OBU was his favorite. “I don’t remember all the reasons, but I knew right away that OBU was for me,” he said. Langford was looking for a small school with an exemplary music program where he could hone and develop his skills. In his first few years on Bison Hill, Langford felt his skills and knowledge were rudimentary, and he often felt “behind” the other students. In an attempt to saturate himself with learning opportunities, Langford became involved in several music-based activities, including the Bison Glee Club and a student-led music group called “Bison Transfer,” which he helped start. He remembers his time in the Bison Glee Club as being especially impactful. However, nothing was more beneficial to his musical foundation than the direction and attention provided by his professors at OBU. Mary Kay Parrish, professor emerita of music; Norma Partridge, professor emerita of music; Sandra Meyer, retired associate professor of music; and Michael Cox, former director of the Bison Glee Club, are all remembered by Langford as having had a tremendous impact on his development. Under his professors’ tutelage, Langford was able to take a basic foundation and develop it into the professional-level skills and knowledge he would need in the years to come. “Everything I learned was necessary for everything that came after, and I now use those skills every day in a variety of settings,” he said. After graduating from OBU, Langford began an impressive career that took him around the world to work with and perform for a variety of people. His works have been performed by many renowned vocal and instrumental groups, including The Chicagoland Pops, West Michigan Symphony, San Antonio Symphony, Voices of Liberty, GLAD, Willow Creek Community Church, multiple Disney parks and many orchestras around the nation. Langford has been a vocal and piano artist in studio and live performances with headline and Grammy Award-winning artists David Foster, Yolanda Adams, Kenny Rogers, Heather Headley, Abraham Laboriel, Michael Bublé, Josh Groban and Celine Dion. He once had the opportunity to perform for President Bill Clinton and again later for First Lady Michelle Obama. Along with his composition and performance work, Langford’s voice can be heard on radio and TV commercials for companies such as Ronald McDonald House, Oldsmobile, L.L. Bean, Old El Paso, Nintendo, Frigidaire and Nickelodeon. 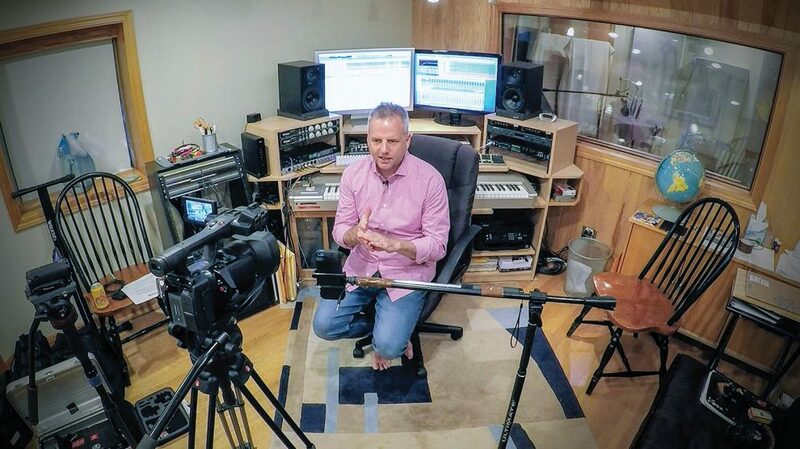 Today, Langford works as a freelance musician, creative director and owner of Paul Langford Studios, his state-of-the-art Chicagoland recording facility. He produces, engineers, composes and plays for a variety of leading artists, corporate clients and television and film projects all across the world. Though freelance work has its challenges, Langford finds joy and satisfaction in contributing to creative works and working with such a high-level of professional musicians. Langford and his wife, Jennifer, have two daughters, Chloe and Cassidy, and reside in Mundelein, Illinois. As a family, they enjoy watching movies and spending as much time together as possible.